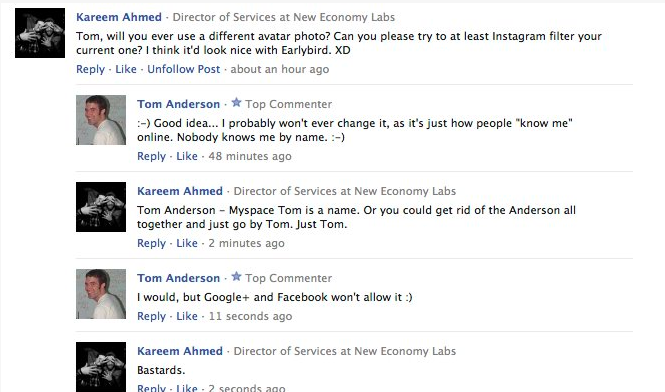 In case you were wondering, MySpace Tom will NEVER change his profile photo. In other news, he's totally Facebooking. 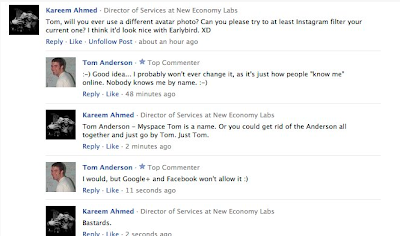 Via Kareem Ahmed on Facebook.